Ryanair pilots in Germany have announced they will go ahead with the four-hour stoppage tomorrow. All 16 flights planned by the company in German airports from 5am to 9am will be affected. The German pilots’ association Vereinigung Cockpit said its negotiations with the company yesterday ended without results. The union said Ryanair representatives had refused to engage with two of VC's representatives at the talks. 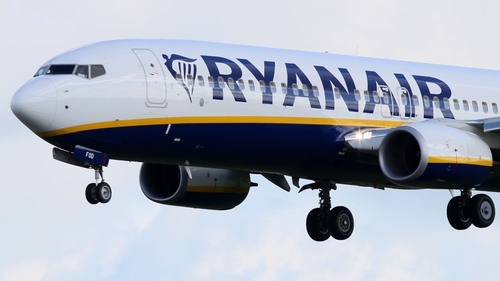 It said: "This refusal clearly shows that the principles of trade union autonomy are disregarded by Ryanair and that the company does not truly desire to enter into constructive negotiations. "Ryanair's public offer to conduct negotiations with VC can only be classified as a further publicity stunt." Head of VCs' Industrial Department Ingolf Schumacher said: "In the history of the VC, there has never been a case in which the collective bargaining autonomy has been trampled on by an employer as it is now the case with Ryanair. "This makes it clear to VC that the company is not interested in a mutually constructive cooperation, based on trust and equality. Rather, Ryanair is trying to win time and attempting to delay the beginning of collective bargaining." Ryanair Chief Operations Officer Peter Bellew said they were surprised by the decision and he urged pilots to respect that it was Christmas time and to get people home on time. Mr Bellew said he saw no reason for the disruption and believed they could have reached an agreement when they met in January. In a statement this evening, Ryanair has said it "apologises sincerely to any German customers worried or affected by this threatened 4-hour strike tomorrow morning". The airline said it had written to its German pilots asking them to work as normal tomorrow to avoid disruption, and have described the action as "unnessesary" and "unjustified". The airline added: "We advise all customers in Germany to turn up as normal tomorrow, as we plan to operate all scheduled flights, and we will be doing our upmost to minimise any disruptions to the Christmas travel plans of our German customers." It is understood that 16 flights across ten bases will be affected by the action, although the German airline pilots union admits that some of these flights will probably operate. Earlier, IMPACT said the airline had confirmed in writing that it recognised the union as the representative of pilots at the airline. The union said it will meet Ryanair management on 3 January to agree a comprehensive recognition agreement that will establish collective bargaining procedures at the airline. As a result, the danger of industrial action by Irish-based pilots had receded. IMPACT said it expects Ryanair to reach agreement on procedures quickly to allow both sides move on to negotiations on pay and conditions. The union called off planned strike action after Ryanair last week announced that it would recognise trade unions for the first time in its 32-year history, but it said it would reverse the decision unless written confirmation was supplied. "IMPACT said the company's confirmation that it recognised the union... and would conclude a comprehensive agreement, meant the danger of industrial action had receded for the present," it said in a statement. The union’s Assistant General Secretary Ashley Connolly said they would be reviewing Ryanair's status surrounding cabin crew, saying it would seem likely that management will recognise them. "We will be engaging with Ryanair company council, which is made up of our Ryanair pilots, and we will be developing our agenda," she told RTÉ's News at One. "It'll be around security, terms of conditions of employment for our Ryanair pilots. In normal industrial relations, we do engage on proposals around pay and that maybe part of our discussions with management going forward, but, I think, it's too early to say." In a statement, Ryanair said it had sent a letter confirming that is recognising Impact and its Ryanair Company Pilot Council. It added: "Ryanair has also submitted a set of proposals on pay and conditions, procedures and dispute resolution for its Irish based pilots, and looks forward to concluding an early agreement on these issues with its Irish Ryanair pilot company council." Evan Cullen of IALPA said substantial progress had been made in recent months after what he described a lot of tough and difficult days. He urged Ryanair to rebuild its relationships with Irish pilots and the pilot community in general.